Sometimes the creativity and design process just flows out of me and I can design a website almost immediately for a client. 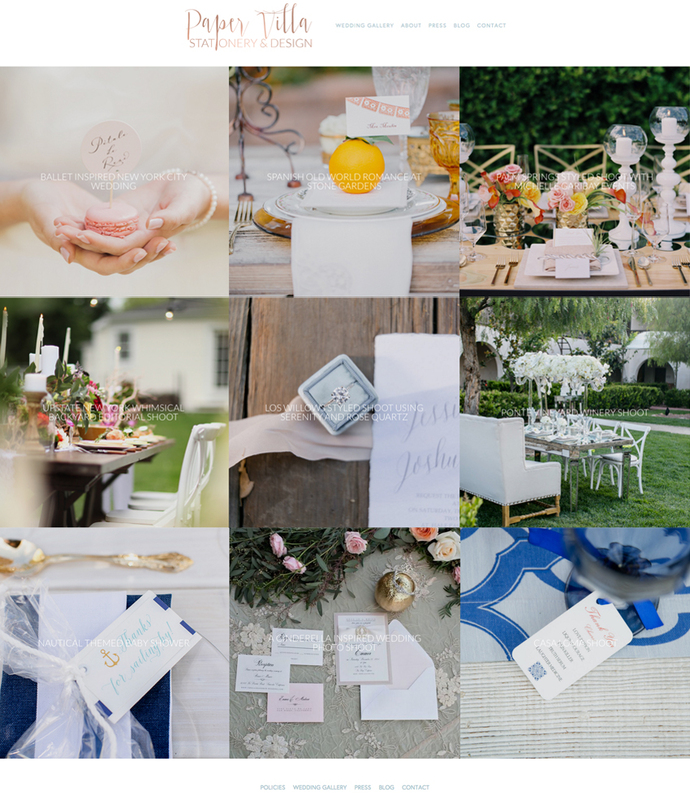 Their work speaks to me, the client is the perfect match, and we create something beautiful together. 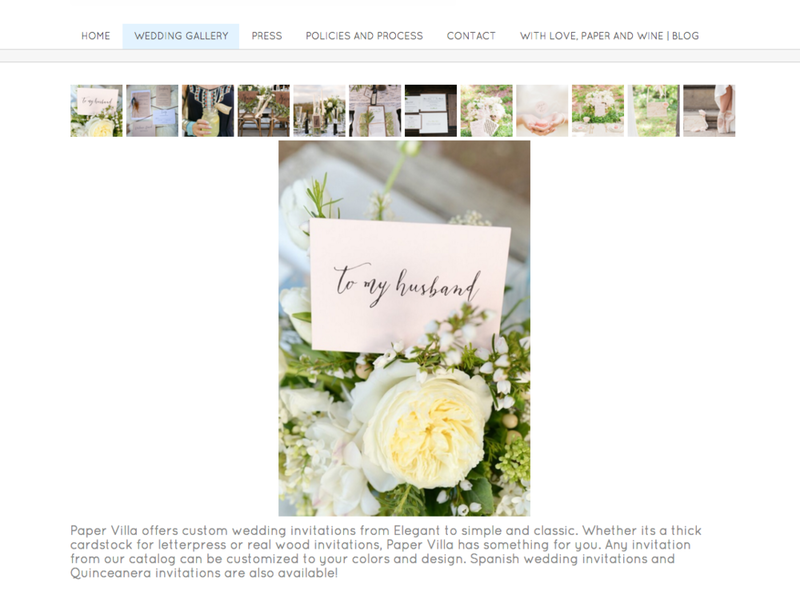 This is how I feel about Erika of Paper Villa Stationery and Design. 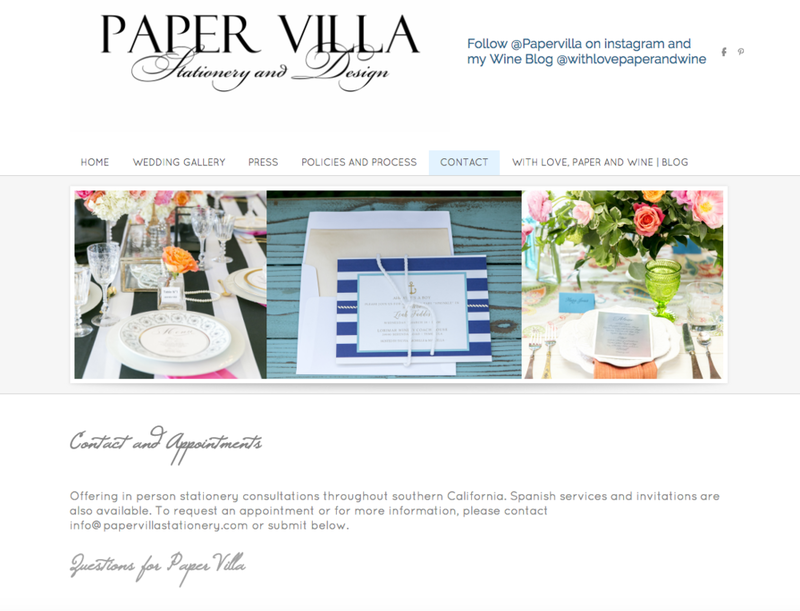 Below are screengrabs of the homepage and the blog landing page that I thought would be perfect for Erika and the Paper Villa Stationery and Design brand ... I love the colors and how everything grabs the attention of the visitor. 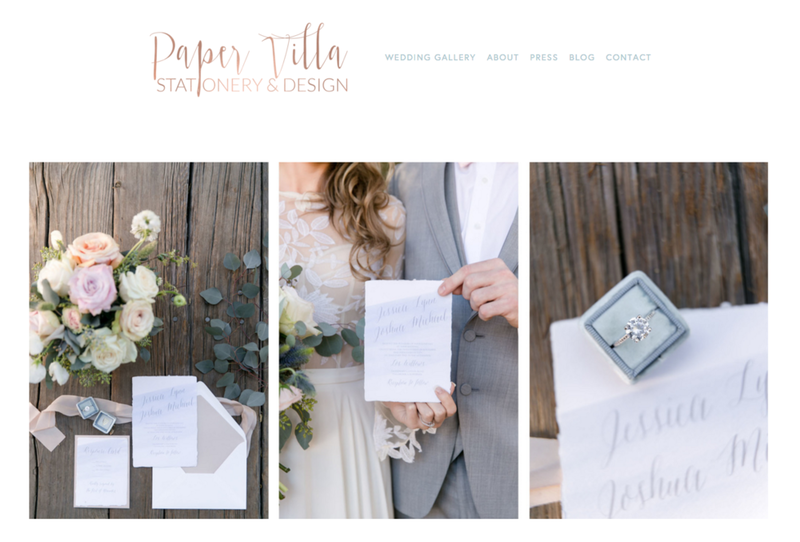 While Erika sells stationery, she also sells an experience for her clients ... the experience of how paper can add so much more to their event or wedding. I wanted to make sure we told that story with the images that were selected while also keeping the focus on what Erika does so well. I believe I accomplished that. 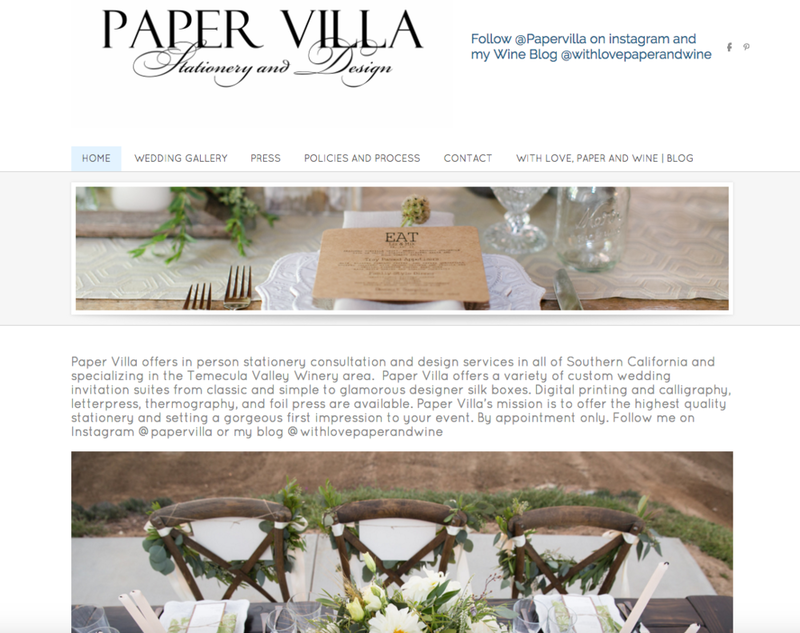 I'm so excited to see what this website will do for the Paper Villa Stationery brand and business! Thank you Erika!!! I loved working together on this! XO! !